We have had a large number of students recommending the AirBnB website with rooms / flats from as little as £12 per night just a few minutes walk from the training centre. It seem a very affordable way to stop over during your course even if for only a few nights to save on travelling each day. The YTA postcode is BD49NW but the link above should be pre programmed to open up with the postcode entered. 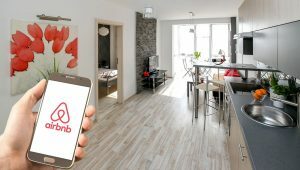 There is a AirBnB app too for Android and Apple which maybe easier from your phone? This is not your normal hotel like you normally find on hotel websites, but a private home. A collie sheep dog lives here called Jessie who is very friendly and loves for anyone to throw her a ball! There are 2 rooms both with a double bed, fresh linens and towel. All have a flat screen TV and fast wifi. Both have table and chair for study. Free tea, coffee, herbal teas, fresh milk and sugar with a kettle in each room. Breakfast includes juice, filter coffee/tea, muesli fruit & yogurt or cereal, full English breakfast or poached eggs with smoked salmon on home made bread. Free parking. Cycle storage. Use of kitchen and cupboard/fridge space given. Use of washer. Garden for smokers. All rooms have en-suite, TV and tea / coffee making facilities. Model Farm Bed and Breakfast is very close to YTA and if you call you will get a better price then that on the website most times. Guide Price = £25 per night inc breakfast. Price Guide: Approx. £25 per night. Approx 5 to 8 mins drive from YTA. Price Guide: £39 per night. 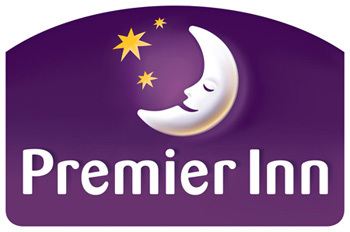 Bradford South Premier Inn is next to a ‘Table Table’ restaurant.